Peggle HD goes free on the App Store. 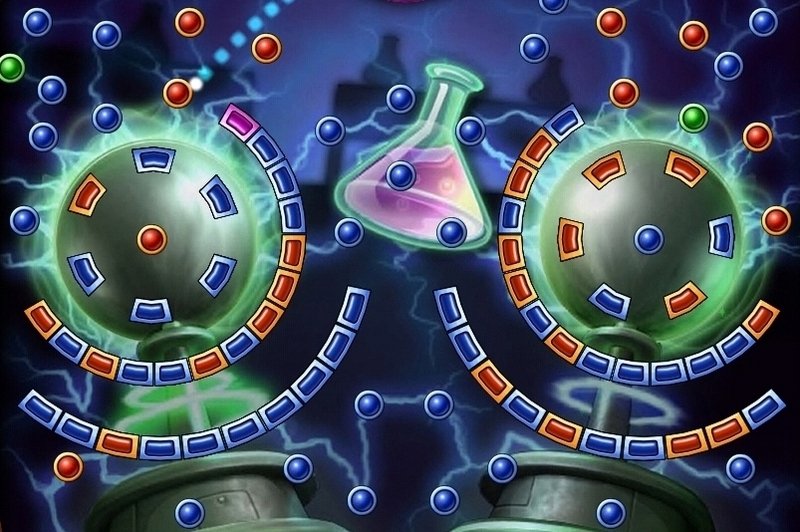 "Become a Peggle Master and pit your skills against over 40 Grand Master Challenges. Rack up bonus points and hit style shots that will make you smile for weeks." "Stop hordes of marauding Dinos from crashing your party in the world's premier BBQ defense simulator! Unlock powerful towers that act like weaponized puzzle pieces. Take control of a rock-throwing, coconut-gathering gopher to build your defenses. With adorable characters and intense strategy, Go Home Dinosaurs is accessible enough for kids and challenging enough for adults." "Superbrothers: Sword & Sworcery EP is an exploratory action adventure with an emphasis on audiovisual style. Traverse a mythic little realm, use a sword to do battle & evoke sworcery to solve mystical musical mysteries. Cooperate with friends via Twitter, experience a videogame world that is affected by moon phases & help a wandering warrior monk complete her woeful errand."